RieszIl y a 4 ansAZONE HOLICS! But, If you want to clean the doll's body, use piece of cloth wet in a solution of neutral detergent and water. The dolls body is made mainly of PVC, and POM is also used. If you let other PVC stuff in contact with the the doll's body it may cause stains, so it's recommended to store it without cloths and away from other PVC pieces. Tint removal can be used in case of stains, but carefully since it can remove others doll's features as face makeup. The joints my become loose, you can fix it using instant glue on the convex joints' portion. 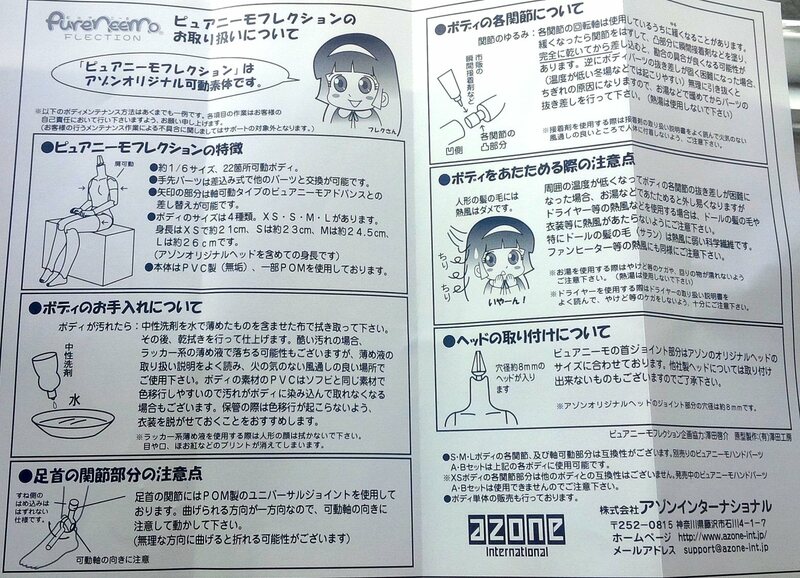 If you want to disable the doll, using hot water is recommended to make joints looser, be careful.